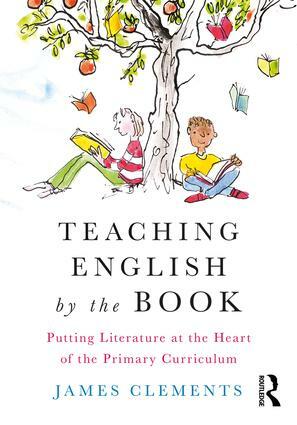 Teaching English by the Book is about putting great books, wonderful poems and rich texts at the heart of English teaching, transforming children’s attitudes to reading and writing and having a positive impact on learning. It offers a practical approach to teaching a text-based curriculum, full of strategies and ideas that are immediately useable in the classroom. Written by James Clements, teacher, researcher, writer, and creator of shakespeareandmore.com, Teaching English by the Book provides effective ideas for enthusing children about literature, poetry and picturebooks. It offers techniques and activities to teach grammar, punctuation and spelling, provides support and guidance on planning lessons and units for meaningful learning, and shows how to bring texts to life through drama and the use of multimedia and film texts. Teaching English by the Book is for all teachers who aspire to use great books to introduce children to ideas beyond their own experience, encounter concepts that have never occurred to them before, to hear and read beautiful language, and experience what it’s like to lose themselves in a story, developing a genuine love of English that will stay with them forever. James Clements is a writer, researcher and the founder of the education website shakespeareandmore.com. Formerly a teacher and school leader in London, James works with teachers, groups of schools and education authorities in the UK and across the world to support the teaching of English. Looking to purchase Teaching English by the Book in your school? We offer discounts for schools when purchasing in larger volumes. To discuss these options please contact Louise Perrier.